The manuscript of Carla Oonk et al on teaching and learning of students in the field of planning is accepted for publication and will be available soon. The article conceptualises planning professionals as boundary crossers, and by doing so, the theoretical framework is related to the currently quite popular research on boundary crossing. Evidence of learning which took place in so-called multi-stakeholder regional learning environments (RLE’s) is presented. Put simply: RLE’s are projects conducted by students, regional institutions, researchers as lecturers/coaches and others, which are for a large part taking place outside the college walls. Therefore the region is seen as the (authentic) learning environment. Continue reading Research of Carla Oonk on educating planning professionals accepted for publication. Dear website visitor. On January 1st this year I posted the performance of this website in the year 2016. I was impressed that there had been 37,500 unique visitors and over 1,1 Million hits. With a bit more than 9 months lapsed in 2017, the current (September 9, 2017) statistics are: number of unique visitors: 40,546; number of visits: 51,106; number of hits 1,154,874. Thanks for visiting this website! If you want to share your experience with this, kindly send an email to martin.mulder@wur.nl. Thanks! Research of Chalachew Taregne et al on rural advisory services has just been published in the Journal of Agricultural Education and Extension. The first 50 colleagues who want to download the paper can download it from here for free: http://www.tandfonline.com/eprint/WnyMSKwdpf7deB83DYVv/full Enjoy! 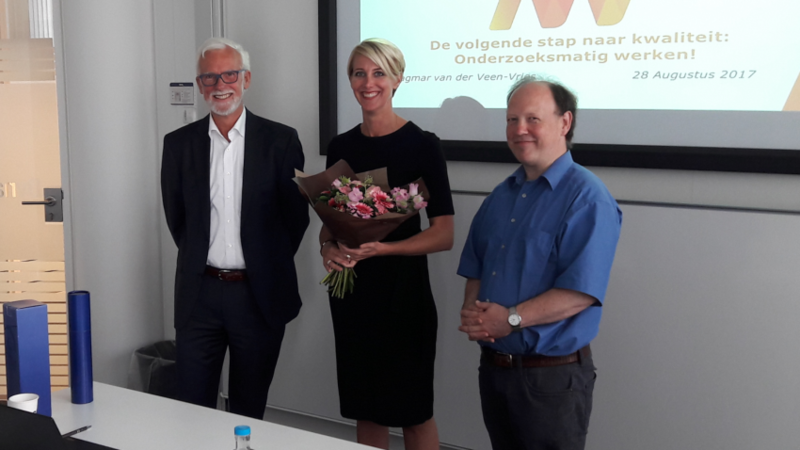 Op 28 augustus heeft Adriënne de Kock haar Master of Education afgerond met de succesvolle verdediging van haar scriptie over professionele ontwikkeling van docenten. Beoordelaar was Dr. Joachim Wetterling. Gefeliciteerd en veel succes verder! 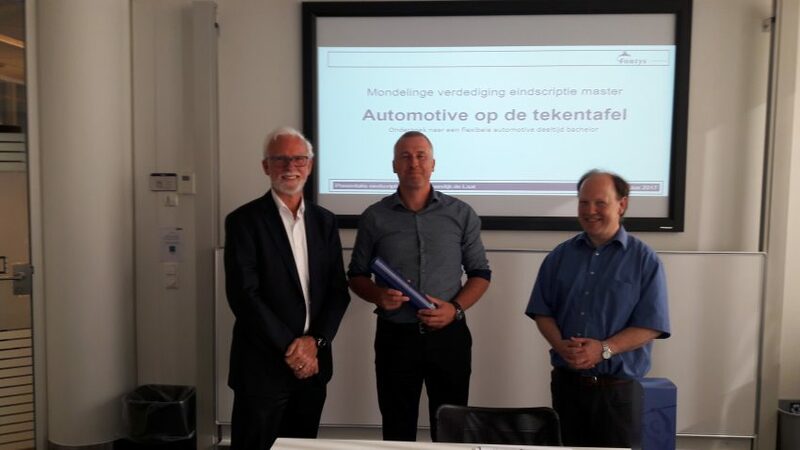 Op 28 augustus heeft Erik Groenendijk de Laat zijn Master of Education afgerond met de succesvolle verdediging van zijn onderzoek ten behoeve van een eventuele deeltijd bacheloropleiding Automotive. Beoordelaar was Dr. Joachim Wetterling. Gefeliciteerd en veel succes verder! 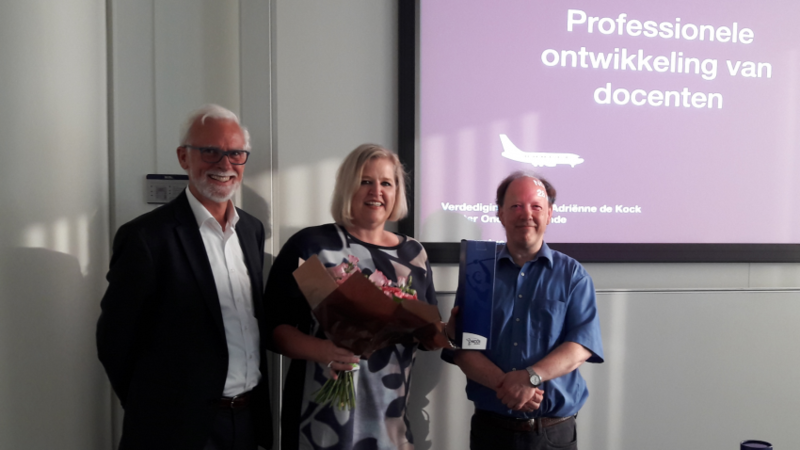 Op 28 augustus heeft Dagmar van der Veen-Vries haar Master of Education afgerond met de succesvolle verdediging van haar scriptie over het bevorderen van het onderzoeksmatig werken in het medisch en verpleegkundig onderwijs. Begeleider was Dr. Joachim Wetterling. Gefeliciteerd en veel succes verder! 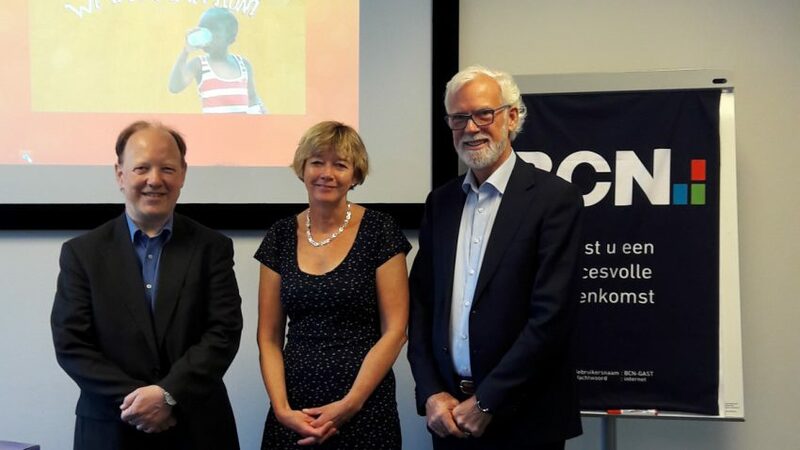 Maartje ter Horst van Delden heeft op maandag 17 juli 2017 met succes haar eindscriptie over leerteams in het hbo verdedigd en daarmee haar NCOI studie Master of Education (MEd) afgerond. Van harte gefeliciteerd, mede namens beoordelaar: Dr. Joachim Wetterling. The video-class which was recorded on May 5th, 2017, at the University of Rome Tre on ‘Competence-based Vocational and Professional Education’ is now available on YouTube. Check: https://youtu.be/3NNKvlW8K7c. Thanks Giuditta Alessandrini and Riccardo Orfei! The manuscript of Eghe Osagie et al on competence development of corporate social responsibility leaders is accepted for publication in the Journal of Business Ethics. The paper focuses on the importance of peer learning, learning loal orientation, and learning climate. The article The impact of the feedback source on developing oral presentation competence, has been assigned to issue 9 of Studies in Higher Education. The full reference is: Ginkel, S. van, Gulikers, J., Biemans, H.J.A. & Mulder, M. (2017). The impact of the feedback source on developing oral presentation competence. Studies in Higher Education, 42(9), pp. 1671-1685. Congratulations Stan van Ginkel.